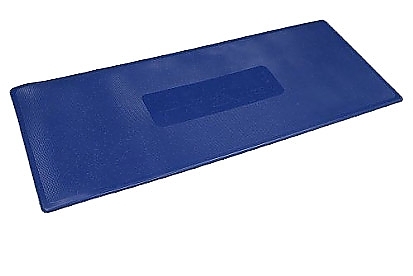 The Body Saver is a revolutionary new non-slip, non-marking, oil, sun and chemical resistant anti-fatigue mat. Body Saver absorbs 81% of all vibrations caused by boats going over waves or rough water! It's a great aid in comfort for sport fishing or even working in your garage. Comes with White (#80045-9), Grey (#80044-2) and Blue (#80043-5) colors.